Are you ready for your Spring Clean? Why to spring clean? / Why spring cleaning actually matters? The winter is quickly coming to its end and for many of us it is time for a traditional spring clean. But why do we do it? Spring cleaning has its origin in many cultures. In the United Kingdom, for example, this practice developed as a way to scour the house after a long winter. Nowadays, it is still something people do however for many this need does not feel so good. One of the last year surveys showed that 85% of British people believe that spring clean could soon become a thing of the past. Less than half of the 2,000 adults questioned said they still do a spring clean once a year, 37% said they do it every few years, and one in five revealed they never bother. 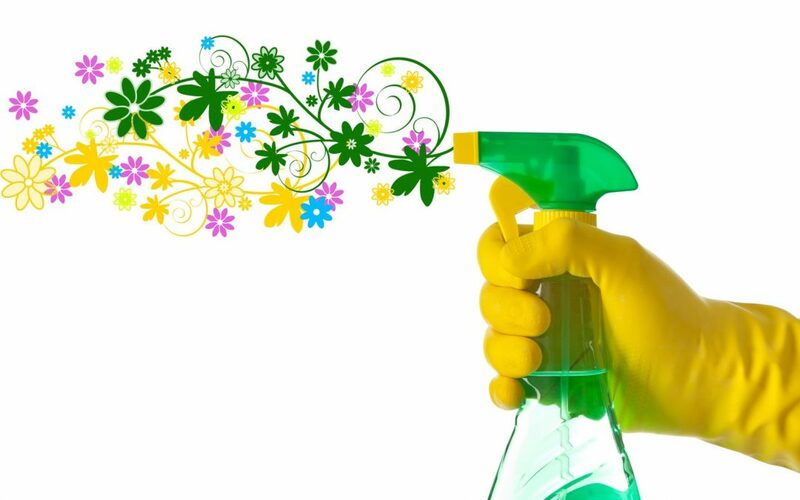 For what it’s worth, spring clean does have its benefits – from our health to our piece of mind. So let’s discuss the main points of why spring cleaning is important. HELPS TO KEEP WATCH OVER ‘FORGOTTEN’ PLACES. There’re always these areas in the house which do not get a look at too often such as the oven, windows, dishwasher, washing machine, mattress, tub drains, vents, carpet/upholstery, etc. Spring clean is a good chance for those jobs to be tackled and in that way to get us ready for spring and summer ahead. ASSISTS IN SPOTTING BIGGER ISSUES. Moving furniture and looking under it may not only help to find items that you lost and thought they’d never be found, but also to notice things in need of fixing such as loose floor boards, and even pest problems. MAKES LIFE EASIER. We have all heard the old saying “Out of sight, out of mind” which can also apply to cleaning – being around the clutter creates unnecessary stress, therefore the best solution is to declutter. Many studies have shown a more organized environment provides a sense of satisfaction and puts us in a good mood. GOOD FOR OUR HEALTH. Letting fresh air in is good for our respiratory system as well as a good spring clean can help us avoid allergy symptoms, especially at a time when allergies are widespread. These days, there are many companies that are trained to conduct spring cleaning, so if this idea of a spring clean sounds exciting but you lack time, consider hiring cleaning professionals who will do the job for you while you can relax and enjoy the time with your loved ones.